On February 5, 2018, the Chinese government unveiled a new set of regulations to ban cryptocurrency. China, home to the world’s biggest community of Bitcoin miners, is cracking down on cryptocurrency activity since last year. 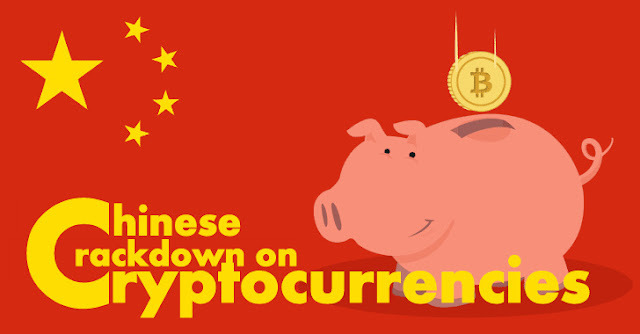 After clamping down on domestic trading of the same including initial coin offerings (ICOs), China is looking to do the same to international crypto trading by its citizens – in a bid to finally quash the market completely. “To prevent financial risks, China will step up measures to remove any onshore or offshore platforms related to virtual currency trading or ICOs,” quoted in an article published on February 4, 2018, by Financial News, a publication affiliated to the People’s Bank of China (PBoC). However, the Chinese central bank still holds what appears to be a positive view on blockchain development, and projects trying to bring genuine services to consumers. That position is also in line with the PBoC's efforts to study applications of the tech through its digital currency research lab. On March 9, 2018, Zhou Xiaochuan, Governor of PBoC, called for those behind such efforts to be cautious - and not to grow too fast. "For blockchain projects with technological potentials, they should conduct thorough testing before rolling out services. Otherwise, a reckless expansion may incur serious security and financial stability issues," Zhou said. Just after the clamping, the government targeted the Chinese companies listed abroad skirting its domestic ban on ICOs. One such company is the Renren Inc. (NYSE: RENN), a Beijing-based social media company, did a publicity over its intention to engage in an ICO of cryptocurrency dubbed RRcoin. Just a week before the February 4 announcement, Renren canceled its ICO plans, following reports of meetings between the company and Chinese regulatory bodies. According to latest local media reports, one of the platforms that have been targeted by law enforcement authorities is WeChat. The social messaging platform, which is actually quite popular in China was ordered by authorities to shut down the accounts of several digital currency exchanges including OKEx's account, the largest cryptocurrency exchange in the world with a $1.7 bln daily trading volume. And that is not all. Reportedly, authorities have also asked banks to suspend service to clients who have engaged in cryptocurrency trading. It’s part of a concerted effort by agencies including the central bank, the cyberspace administration and China’s Ministry of Industry and Information Technology. Following reports of the latest crackdown, advertisements for cryptocurrencies have stopped appearing on Baidu, China’s biggest search engine, and social media platform Weibo. According to The Meitu founder, Cai Wensheng, the majority of the world’s bitcoin mines are located in China,“80%” of the world’s bitcoins are produced by hardware housed in China." The miners can access very cheap electricity produced by hydroelectric power stations. And at the same time, Chinese miners also have an incentive to produce bitcoin regardless of cost because it allows them to send money overseas and evade the government's capital controls. Four out of the five largest bitcoin "mining pools" in the world are Chinese, according to data from Blockchain. However, it has been reported, many former Chinese trading platform operators have left the country’s mainland and set up shop in the self-regulated territories like Hong Kong or even farther afield where they are free to offer services with Chinese language support and accept deposits from mainlanders if they can get to them. At the same time, the Chinese domestic customers had begun trading on the new exchanges by using virtual private networks (VPNs) that enabled them to bypass government-controlled gateways and connect to exchanges in Hong Kong, Japan, and South Korea. All three locations regularly account for the largest trading volumes for cryptocurrencies. According to the Australian Bitcoin investor and analyst, Silvain Ribes, Chinese crypto exchanges seem to be bogus, and the overall worst appears to be OKEx, supposedly the world's number one exchange by volume, which might be faking over 90% of its volume. He reached the conclusion of what was meant to be an unrelated study of price slippage. Speaking in the same tone, Wensheng compared the ICO markets to the dotcom bubble of the nineteen-nineties, stating that of the “hundreds of companies” that listed Initial Public Offerings (IPOs) “in 1999” very “few companies are left,” however, “One Amazon is enough” – implying that heavy-handed restrictions on ICOs may result in China failing to facilitate the growth of potential major companies that could emerge through the disruptive ICO sector. In Hong Kong, the Securities and Futures Commission (SFC) in February 2018, sent letters to all seven digital currency platforms as well as firms attempting to raise funds through initial coin offerings (ICOs), warning that they are ready to pass cases of potential fraud to the police for investigation. The Hong Kong Monetary Authority (HKMA) and the SFC, regard cryptocurrencies not as legal tender, money or currencies, but as “virtual commodities”, which are not subject to regulation, provided the cryptocurrency in question does not have the characteristics of a “security”. Such ambiguous definition is pushing a number of Hong Kong-based cryptocurrency trader towards U.S.-based bitcoin futures. The shift away from domestic markets has been spurred by a perception that the American futures markets receive greater regulatory oversight than Hong Kong’s unregulated cryptocurrency exchanges. In Japan, two exchanges — FSHO and bit station — were instructed to halt operations for a month, Japan's Financial Services Agency (FSA) said at a briefing in Tokyo, while GMO Internet Inc.’s GMO Coin, Tech Bureau Corp.’s Zaif, Bicrements and Mr. Exchange also face sanctions. The FSA ordered Coincheck to revise its management structure, improve anti-money laundering procedures and submit a report by March 22. Earlier on January 26, 2018, Hackers broke into Coincheck’s systems in the early hours of the morning and stole about $500m of the cryptocurrency XEM belonging to 260,000 customers.This incident has led to the series of crackdowns, which is likely to shake-up Japan’s booming market for cryptocurrency trading as weaker exchanges go out of business or team up with larger, better-organized competitors. In the United States, the staff of the Divisions of Enforcement and Trading and Markets of the Securities and Exchange Commission (SEC) issued a public statement on March 7, 2018, regarding exchanges and other secondary trading platforms that list and/or facilitate the trading of coins and tokens online. The statement emphasizes that platforms offering the trading of digital assets that are securities, including many (if not all) coins and tokens issued through ICOs, must register with the SEC as a national securities exchange or operate under an exemption from such registration. The SEC statement addresses an apparently widespread misunderstanding that industry participants could operate such online coin or token exchanges without registering as an exchange, an alternative trading system (ATS), or broker-dealer. As a part of ramped up efforts to curb fraud related to virtual currencies, some of America’s biggest banks recently banned their customers from buying bitcoin and other tokens using their credit cards. In Europe, the European Parliament released a statement on March 9, 2018, illuminating the regulatory status of mining cryptocurrencies. According to Mariya Gabriel, the European Commissioner for Digital Economy and Society, mining cryptocurrencies in Europe is legal and only conditional per standard electricity rules and regulations. A couple of weeks earlier, Valdis Dombrovskis, the head of the EU's financial services has said that the European Union is ready to regulate cryptocurrencies such as Bitcoin if a global effort is not made to tackle their risks. He said that worldwide measures were needed if European regulation was to be avoided. There has long been a concern not just about the wildly fluctuating value of cryptocurrencies, but also the potential for them to be used in a crime. In India, trading on bitcoin exchanges has dropped as much as 90% in the last two months as regulatory concerns lead to uncertainty about the cryptocurrency that is not yet regarded as legal tender in the country. Even though the Reserve Bank of India (RBI) has not mandated the closure of any accounts, Indian banks are tightening the noose on two fronts: shutting bitcoin exchange accounts and restricting customers transacting in cryptocurrencies. This has led to reduced transactions on bitcoin exchanges, mirroring a global trend. In December 2017, Indian income tax authorities conducted on-premise searches of nine bitcoin exchanges seeking information on customers who transacted on their platforms. Following the searches, in January 2018, IT department served notices to 100,000 people believed to have made high –volume transactions.